In 1910, newspapers featured Model T Fords chugging along rutted roads at eight miles an hour; Detroits center fielder, Ty Cobb, batting .385; and Tom Swift hitting the book market with a bang. Buried deep in one newspaper was this report: "William D. Boyce, a Chicago publisher, incorporated the Boy Scouts of America in Washington, D.C., on February 8." That was all it said. We cant blame reporters for missing the biggest story of the day, because who could have guessed that from such a small beginning, Scouting would become the giant it is today? From 2,000 Boy Scouts and leaders in 1910, Scouting in the United States has grown to 5 million strong. And from a program for Boy Scouts only, it has spread into a program including Tiger Cubs, Cub Scouts, Webelos Scouts, Boy Scouts, Varsity Scouts, and Venturers. Although Scouting has changed over the years, the ideals and principles have remained the sameservice to others and duty to God and country. Scoutings history actually goes back to the turn of the century and a British Army officer, Robert Stephenson Smyth Baden-Powell. Baden-Powell, who was stationed in India at the time, found that his men did not know basic first aid or the elementary means of survival in the outdoors. They couldnt follow a trail or tell directions, recognize danger signs, or find food and water. Baden-Powell, who had earned the reputation as a courageous soldier and able army scout, felt a need to teach his men resourcefulness, adaptability, and the qualities of leadership demanded by frontier conditions, so he wrote a small handbook called Aids to Scouting. While serving in south Africa in 1899, Baden-Powell became world famous during the Boer War by protecting, for 217 days, the small town of Mafeking. The town was being besieged by an enemy force 10 times larger than his own. Upon his return to London, he was promoted to major general and hailed as a national hero. Baden-Powell was also amazed to find that his little handbook had caught the interest of English boys. They were using it to play the game of scouting. Baden-Powell had the vision to see some new possibilities, and he decided to test his ideas on boys. In August 1907, he gathered together 20 boys from all parts of England. Some were from exclusive schools and others were from the slums, the shops, and the farms. He took them to Brownsea Island, in a sheltered bay off Englands southern coast. There, along the shore, they set up a makeshift campsite which would be their home for the next 12 history-making days. The boys had a great time! They divided into patrols and played games, went on hikes, and learned stalking and pioneering. They learned to cook outdoors without utensils. And in the evenings, in the magic of the campfire, they were spellbound by Baden-Powells stories of his army adventures. What none of them realized was that Scouting had begun on that island and would sweep the globe in a few short years. Soon patrols and troops began to spring up all over England and in other countries, as well. The next year Baden-Powell published his book Scouting for Boys, which revealed a warm understanding of boys and what they like to do. He had no idea that this book would set in motion a movement that would affect the boyhood of the entire world. The same year, more than 10,000 Boy Scouts attended a rally held at the Crystal Palace. This was living proof of how quickly Scouting was establishing itself. Two years later, the membership had tripled. About this same time, the seeds of Scouting were growing in the United States. Our rich pioneering traditions had caused American Indians and frontier heroes to be part of every boys life, whether he lived in the city or country. Some creative youth leaders saw an opportunity to use this hero worship to develop in the boys qualities of independence and resourcefulness, as well as skills in nature lore and outdoor activities. On a farm in Connecticut, a naturalist and author named Ernest Thompson Seton was organizing a group of boys called the Woodcraft Indians. He sent Baden-Powell a copy of his book, The Birchbark Roll of Woodcraft Indians, which told how American boys formed "tribes" of Woodcraft Indians, and about the games they played and the Indian lore they practiced. In addition to Seton, another American was working to bring boys and the outdoors closer together. Daniel Carter Beard, an artist and writer, organized the Sons of Daniel Boone, which soon became the biggest boys club in the Untied States. In many ways the two organizations were similar, but they had no connection with each other. And the boys who belonged had never heard of Baden-Powell or of the Boy Scouts, and yet both groups were destined to become Boy Scouts one day soon. In 1909, a Chicago businessman and publisher, William D. Boyce, was lost in a London fog. As he groped his way through the fog, a boy appeared and offered to take him to his destination. When they arrived, Boyce reached into his pocket for a shilling tip. But the boy stopped him by courteously explaining that he was a Scout and could not accept payment for a Good Turn. Intrigued, the publisher questioned to boy and learned more about Scouting. The boy took him to Baden-Powells office, and once there, disappeared into the fog. No one knows what happened to him. The unknown Scout was never heard from again, but he will never be forgotten. At the Scout Training Center at Gilwell Park, England, a statue of a buffalo was erected in honor of this "Unknown Scout." His Good Turn is what brought Scouting to our country. As Boyce interviewed Baden-Powell, he became captured by the dream. When he boarded the transatlantic steamer for home, he had a suitcase filled with information and ideas. 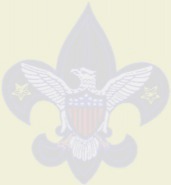 And so, on February 8, 1910, Boyce incorporated the Boys Scouts of America. Shortly thereafter, a group of public-spirited citizens set up an organization. Seton became the first Chief Scout of the Boy Scouts of America, and Beard was made the national commissioner. A search began for an executive officer. The man chosen was James E. West, a young man from Washington who had risen above his tragic boyhood to become a successful lawyer. His father had died before he was born, and his mother died when he was 7. He was sent to a home for orphans. There it was discovered that he had an incurable disease in one leg, which would leave him physically impaired for life. In spite of his disability, West put all his ambition, ability, and energy into becoming a lawyer. He succeeded and dedicated himself to helping children--healthy, sick, or with disabilitiesto have a better life. He led the Boys Scouts of America for 32 years as the Chief Scout Executive. He was a strong, wise leader who helped build Scouting into the largest boy movement in the country and in the free world. Back in England, Boy Scout troops were being bombarded by younger boys who were eager to become Boy Scouts. In 1914, Baden-Powell began experimenting with a program for younger boys that was based on Rudyard Kiplings Jungle Book. In 1916, he made a public announcement of the Wolf Cub program. Since that time it has spread with very little change to other European countries. In America, millions of Cub Scout-age boys and their families were clamoring for a program of their own. As early as 1920, at the first national training conference for Scout executives, the needs of the younger boys were discussed. However, the Boy Scouts of America felt it wise to postpone any action until there was more objective evidence. In 1925, Dr. Harold W. Hurt, a research psychologist and veteran Scouter, was authorized to study existing organizations for younger boys, such as Boy Rangers, Boy Pioneers, American Eagles, Young Mens Clubs of America (YMCA), and Boys Clubs. He found that only one boy in 50 participated regularly in any type of worthwhile leisure-time program. He also found that younger boys responded even better to leadership and program efforts than older boys. He worked closely with Ernest Thompson Seton. Both men recommended that the BSA adopt a program for younger boys, with older Boy Scouts as leaders, to tie into home, church, school, and Boy Scouting. The National Executive Board authorized the Chief Scout Executive to proceed with a thorough scientific study of the whole younger-boy matter. An advisory committee was appointed to work with the BSA in developing a plan and producing the necessary literature. Advice was obtained from leading psychologists, sociologists, teachers, school superintendents, professors of education, college executives, and recreation and welfare directors. The first dens met weekly at a members home where they played games and enjoyed crafts and ceremonies. The pack met weekly or semimonthly for games, den competitions, awards, stunts, and other activities. Cubs advanced from Bobcat (for all new members) to Wolf (age 9), Bear (age 10), and Lion (age 11), and joined the Boy Scout troop at age 12. In 1949, the age requirement was lowered to between 8 and 10 for Cub Scouts. In 1986 it was lowered again to include second-grade boys. In 1982, the Tiger Cub program was started based on shared leadership of boy-adult teams. It is a school-year-based program. In 1930, Cub Scouting was formally launched, with 5,102 boys registered at the end of that first year. By 1933 the time had come to promote Cub Scouting throughout the country as a part of Boy Scouting. All experimental restrictions were removed and the first national director of Cub Scouting was appointed. Our Cub Scouting is different from the younger-boy programs of any other country because it is home and neighborhood centered and is built around in-between-meeting-time activities. The program suggests a wide variety of interesting things for a Cub Scout and his den to do, with the encouragement of family and leaders. It suggests activities that boys enjoy doing on their own, when not under adult supervision. These activities are particularly suited to boys of Cub Scout age and are kept quite different from those they will encounter in Boy Scouting. Cub Scouting has drawn upon the adventure and lore of the American Indian, just as Setons Indian lore influenced Boy Scouting, but a strong influence from Kiplings Jungle Book, still remains. The terms "Law of the Pack," "Akela," "Wolf Cub," "grand howl," "den," and "pack" all come from the Jungle Book. The Gold and Silver Arrow points, Webelos emblem, and Arrow of Light emblem are taken from our American Indian heritage. Scouting is updated periodically to keep pace with a changing world. It isnt the same as it was on Brownsea Island in 1907, but the ideals of Scouting remain the same. Its ideals are still based on principles that Baden-Powell had been taught as a boy. Scouting continues to be sensitive to the needs of young people everywhere. Scoutings founder was a simple man, avoiding fuss where he could, but willing to play the role expected of him. He had an intense and lively mind, and was far too interested in planning the future to think much about the past. Baden-Powell was never able to completely overcome his surprise at the immensity of Scoutings worldwide appeal. As it swept the globe, Scouting brought him new adventures and responsibilities as Chief Scout of the World. He traveled extensively and kept in touch with Scouting around the world. Success followed success. Eventually, Baden-Powels health began to fail. Heeding his doctors advice, Baden-Powell and his family left England for the last time in 1938. They set up a winter home at Nyeri in Kenya, where his remaining years were happily spent. There were expeditions and picnics and opportunities for the simple pleasures such as painting, sketching, and studying wildlife. He wrote three more books for boys during that time. His health gradually lapsed, and on January 8, 1941, he died peacefully. Scouts of different races carried him to his final resting-place in the small cemetery at Nyeri on the slopes of the Aberdares, facing Mount Kenya. His final resting-place is marked with a simple headstone that bears his name and the Scout sign for "I have gone home." Today, in Westminster Abbey, a tablet records his name, along with the names of the greatest Britons of all time. After his death, a letter was found in Baden-Powells desk. It was a letter he had written to all Scouts, which included this passage: "Try and leave this world a little better than you found it." These words are a fitting epitaph, for as he won the respect of the great by his strength, he won the hearts of the youth by his own example.